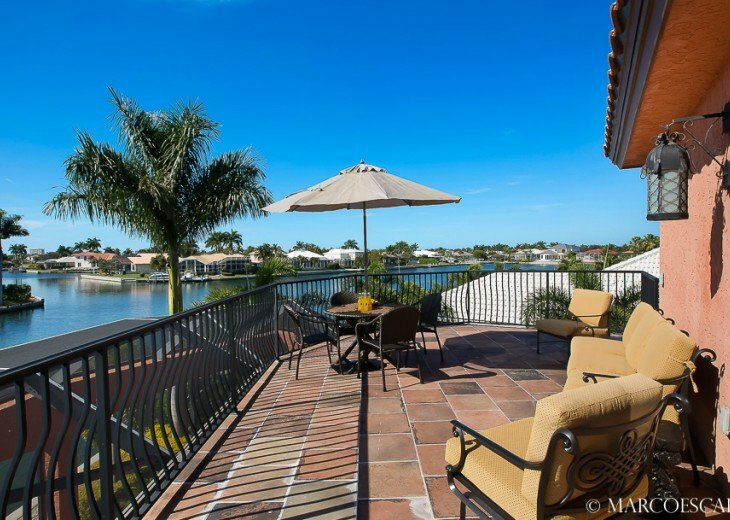 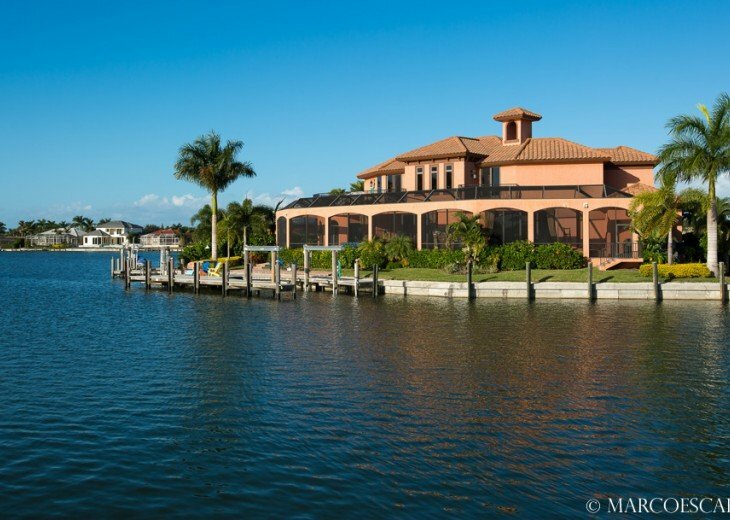 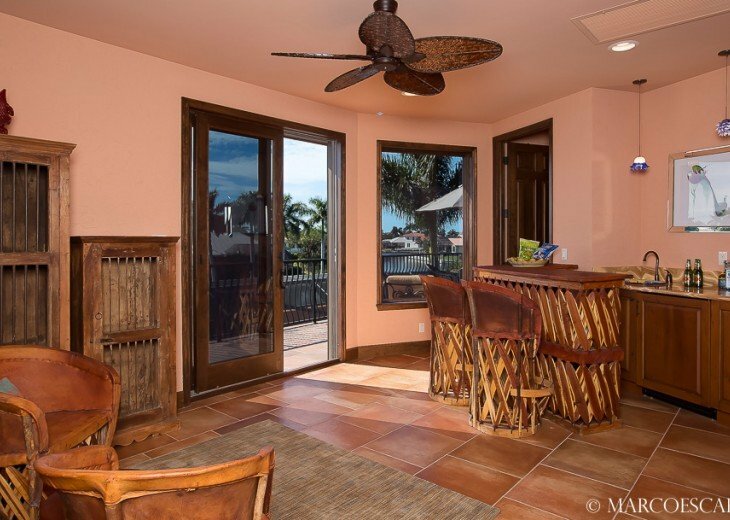 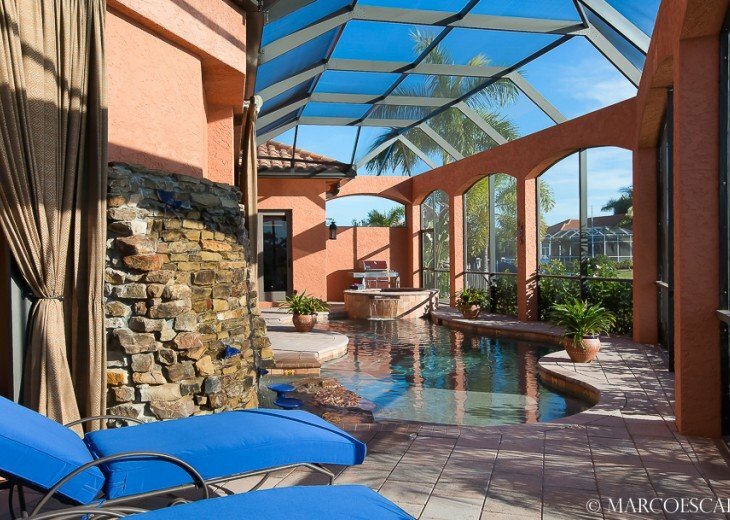 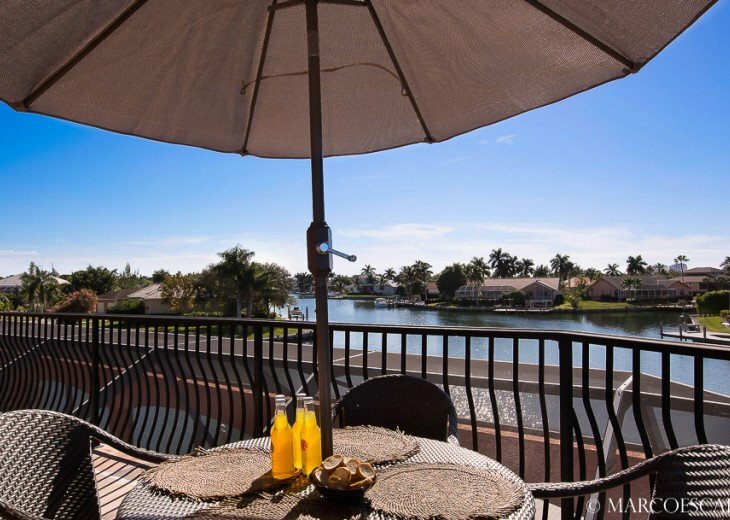 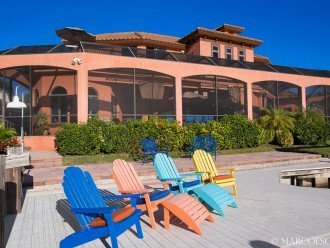 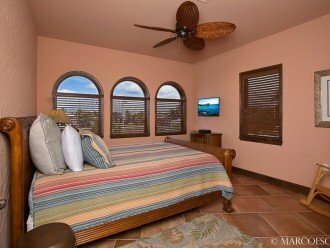 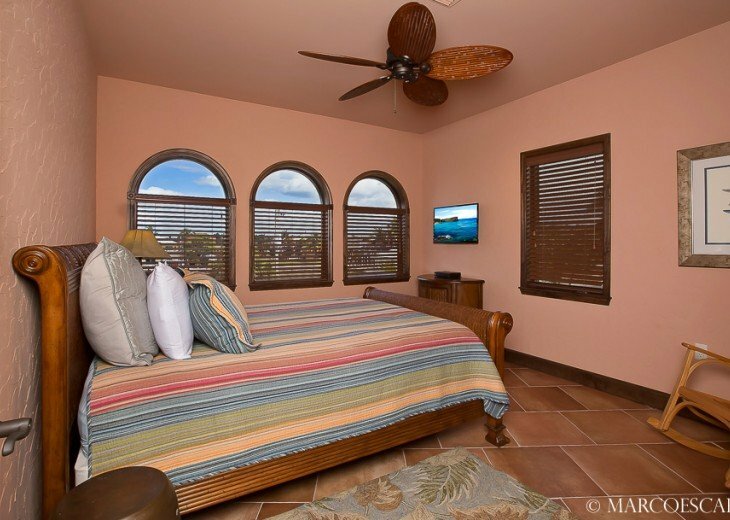 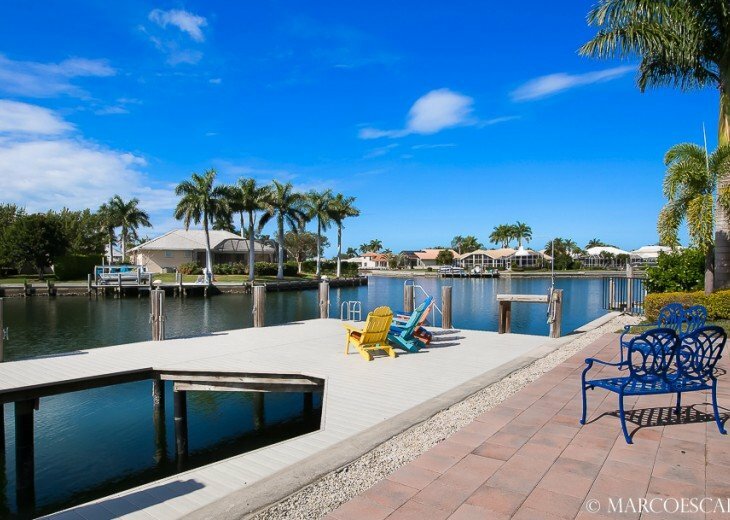 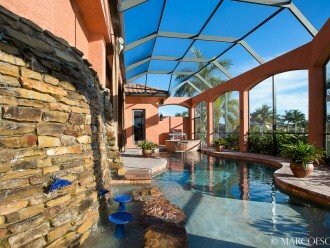 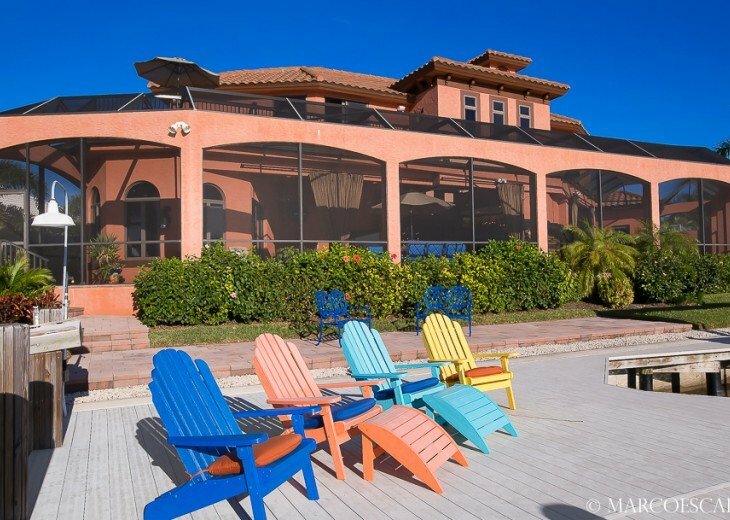 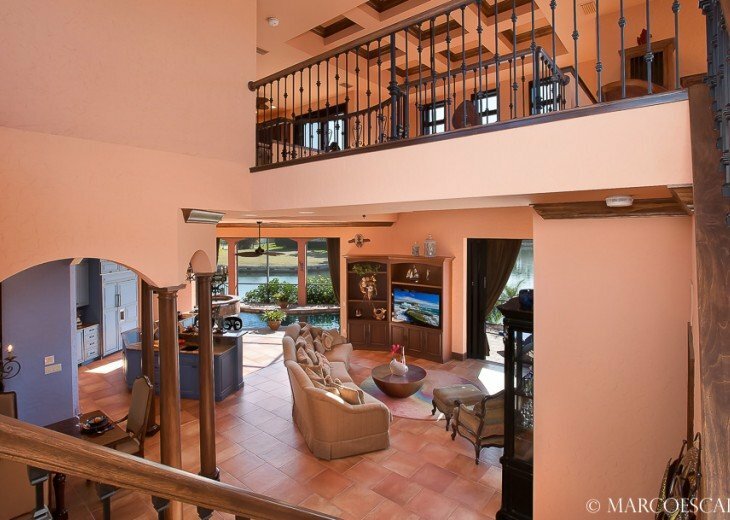 Marco Island House Rental: BOUNTY COURT - Waterfront Tuscan Villa on Marco Island! 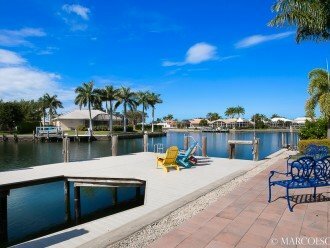 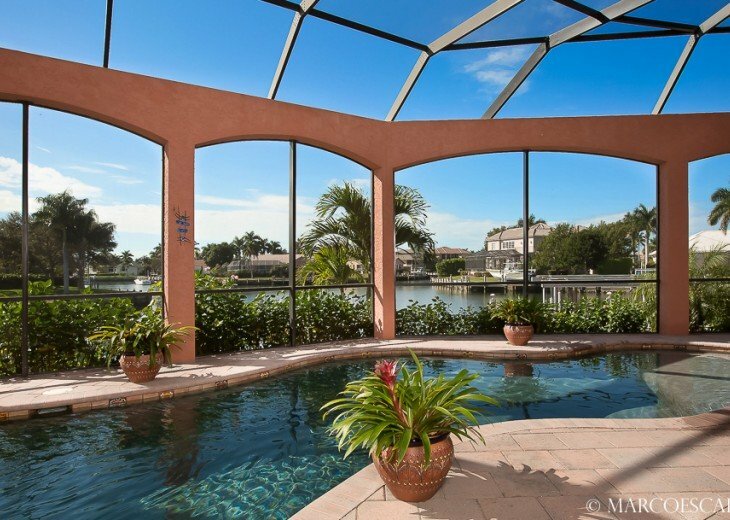 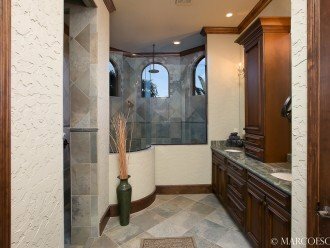 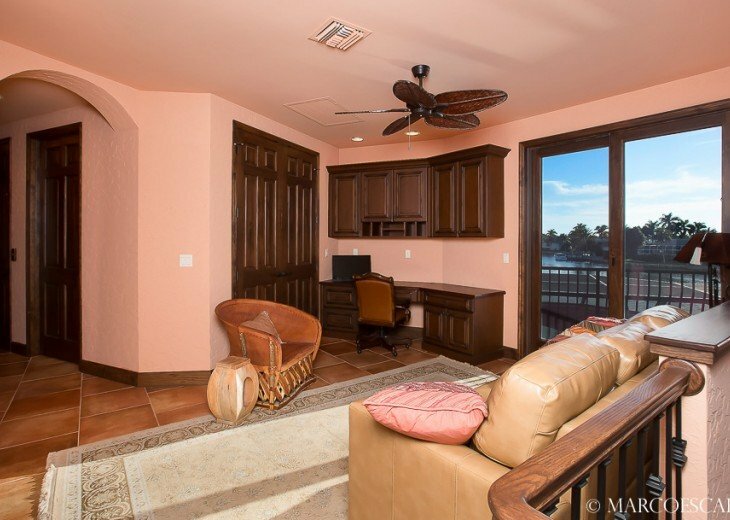 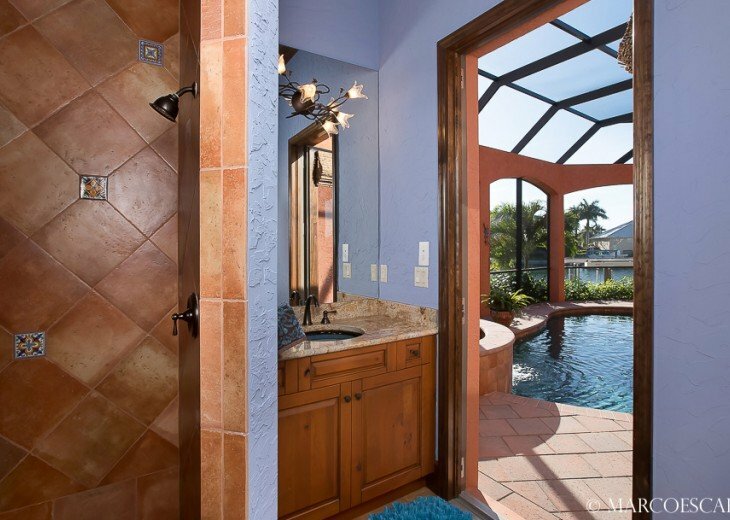 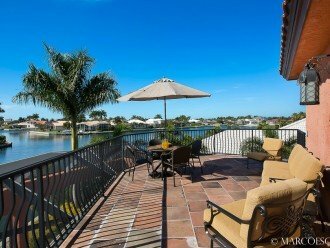 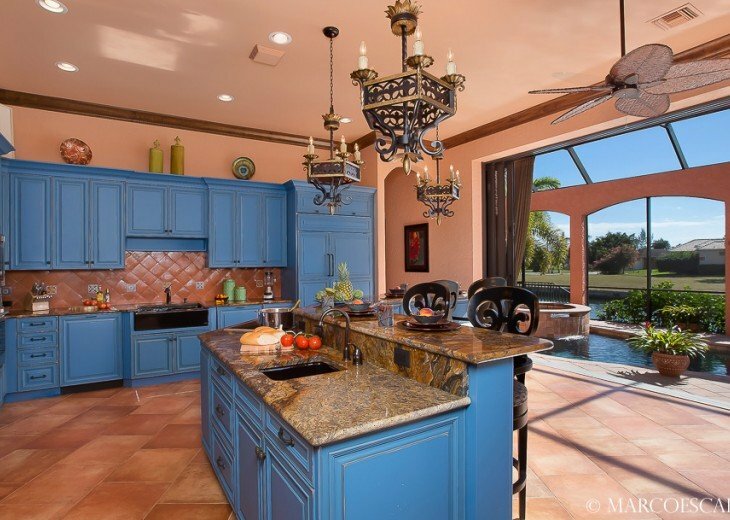 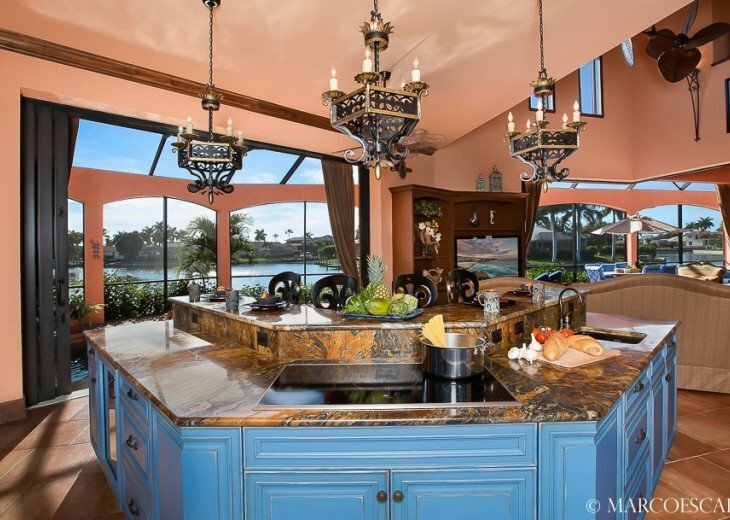 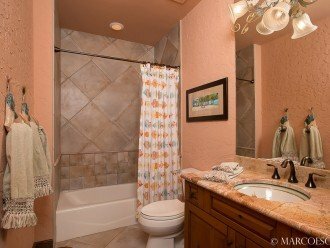 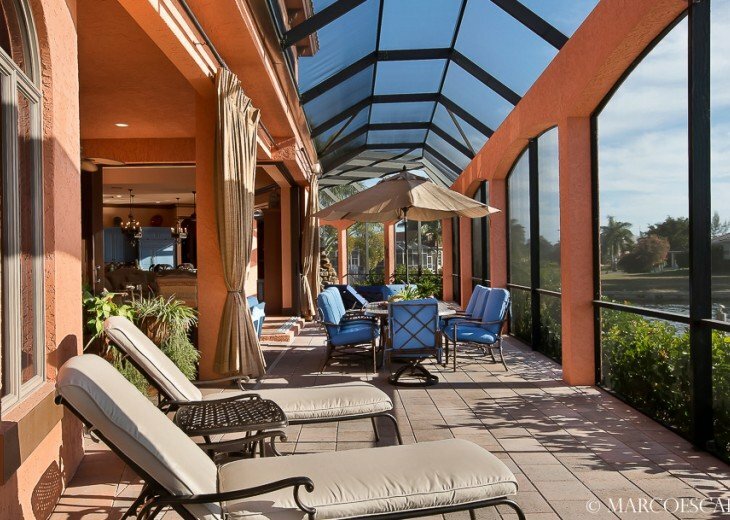 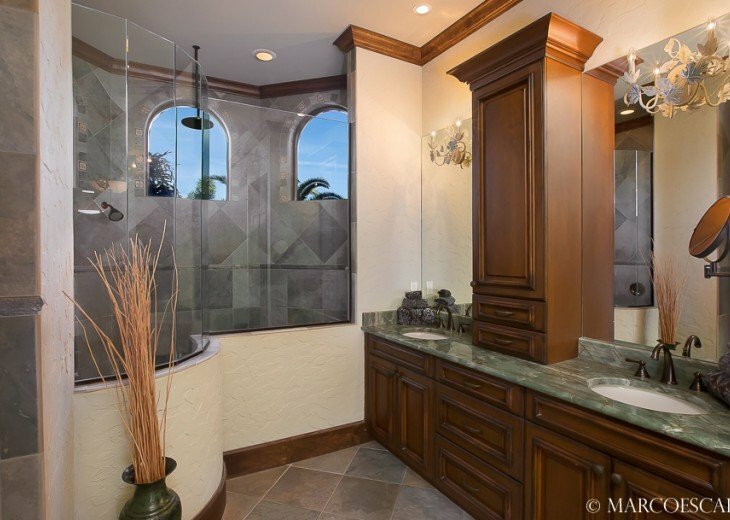 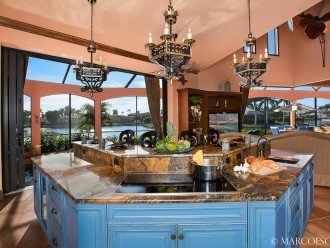 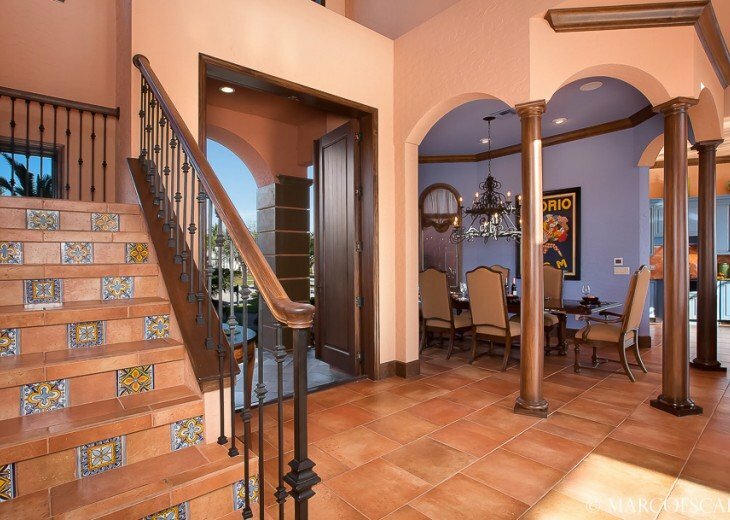 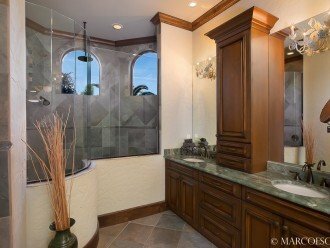 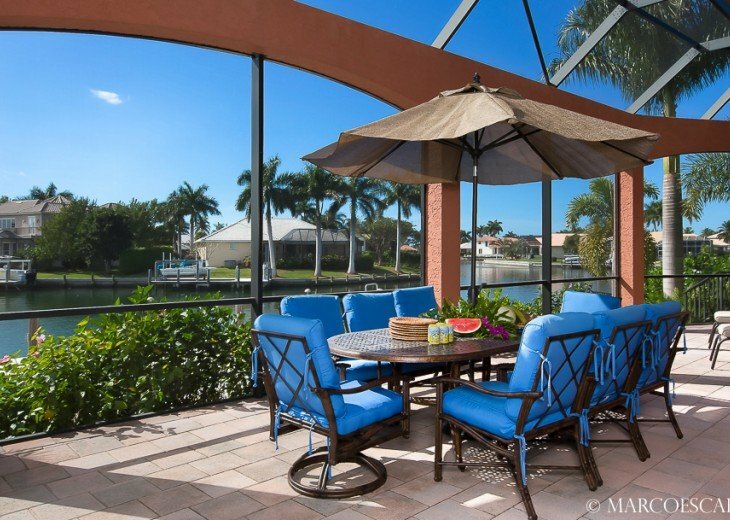 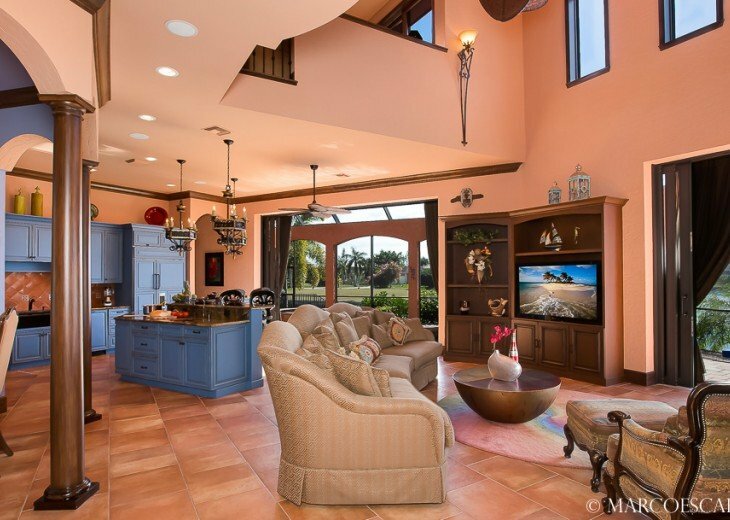 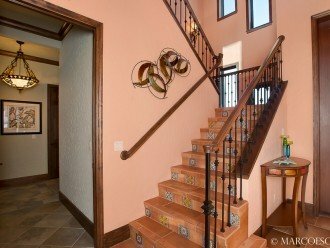 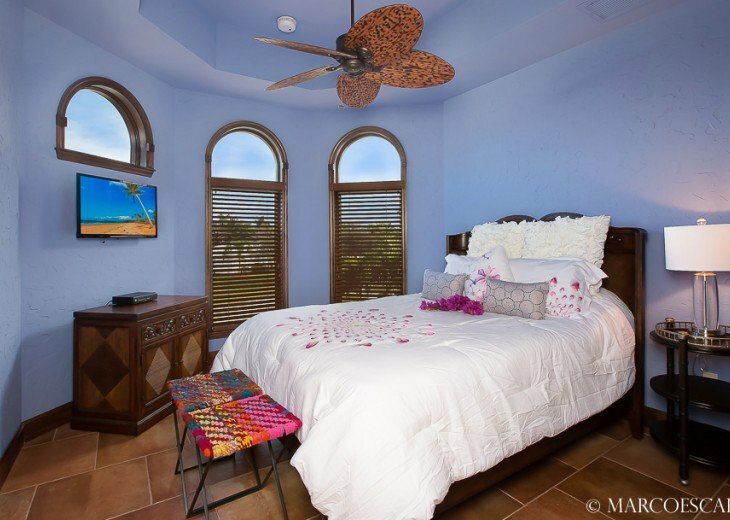 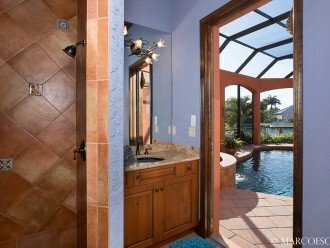 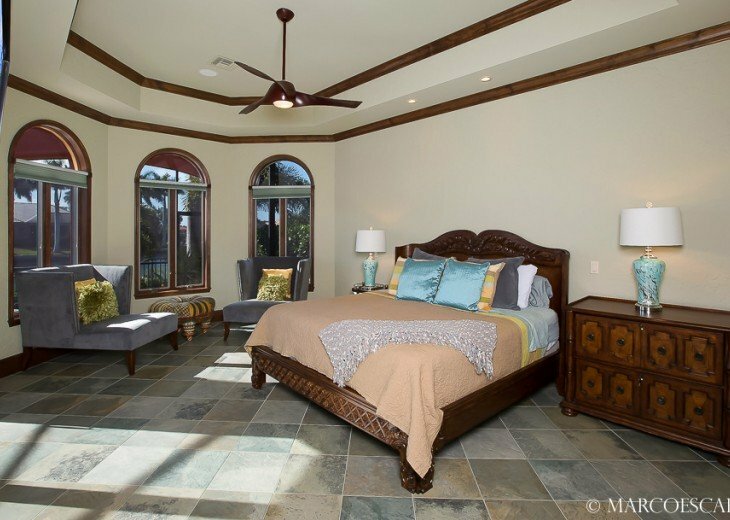 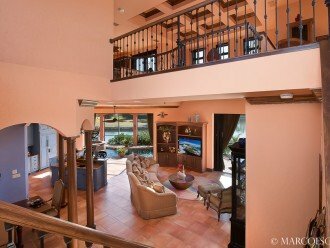 BOUNTY COURT - Waterfront Tuscan Villa on Marco Island! 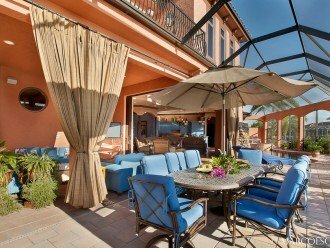 This colorful Tuscan villa celebrates "la dolce vita" – the sweet life. 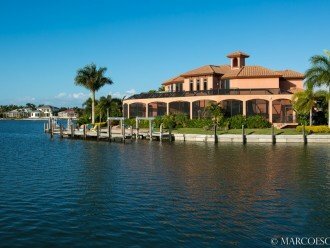 Waterways intersect on its glorious waterfront tip lot; they lead to Roberts Bay and the Gulf of Mexico beyond. 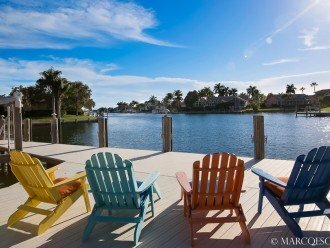 Soak up the southern exposure as you tan, read or fish on the spacious dock. 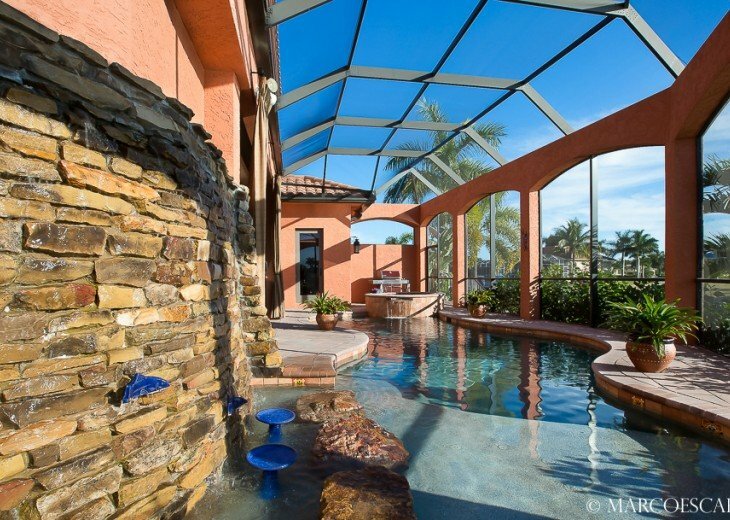 The waterfront amenities are sheer decadence; the heated lagoon style pool features a ledgestone waterfall and stone hot spa. 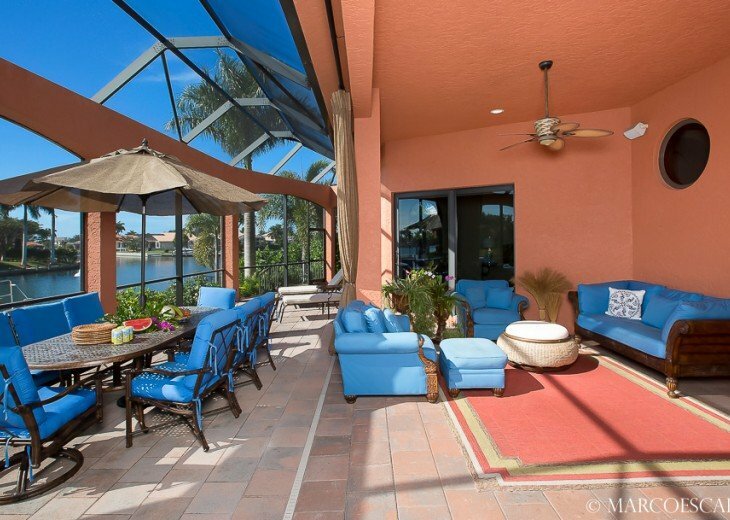 Indoors flow seamlessly with outdoors as sparkling mornings flow effortlessly into unforgettable star-filled evenings. 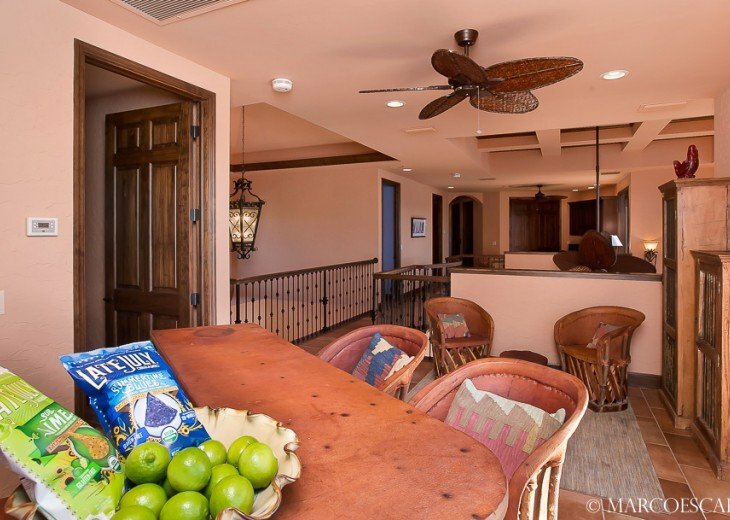 Leave the doors open and let the island breeze flow through. 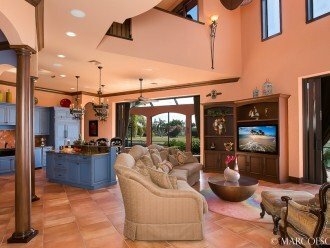 Designed and built by heralded RK Reiman Construction in 2009, the wide open architecture boasts soaring ceilings, polished columns and an epic catwalk. 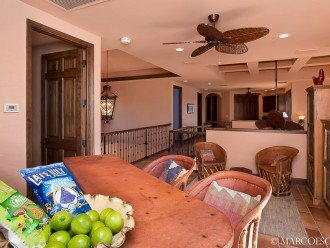 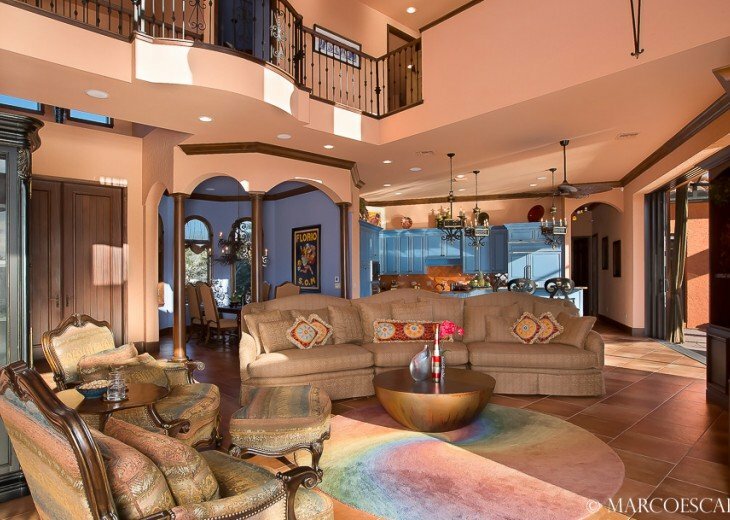 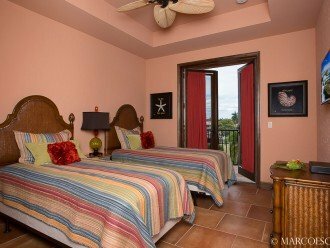 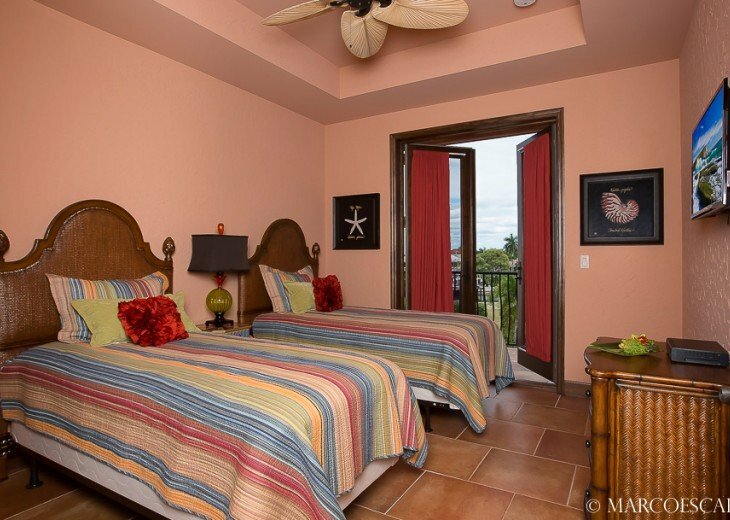 The interior is filled with imported furnishings and decorated in the bold hues of our famous sunsets. 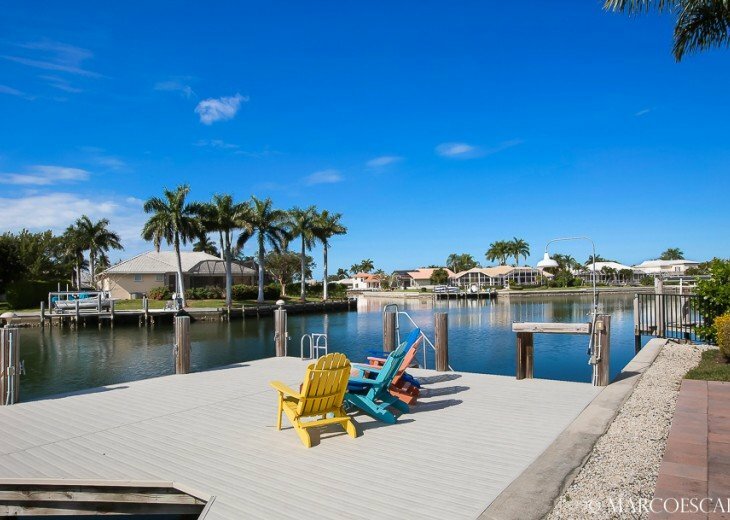 You'll find Marco Island is a tropical paradise filled with limitless opportunities for adventure, relaxation and recreation. 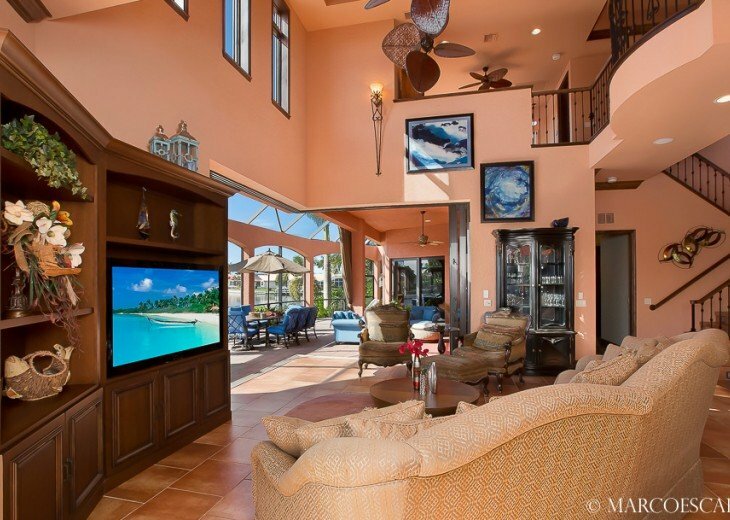 Bounty Court yields state of the art technologies, keeping you as entertained – and connected – as you want to be. 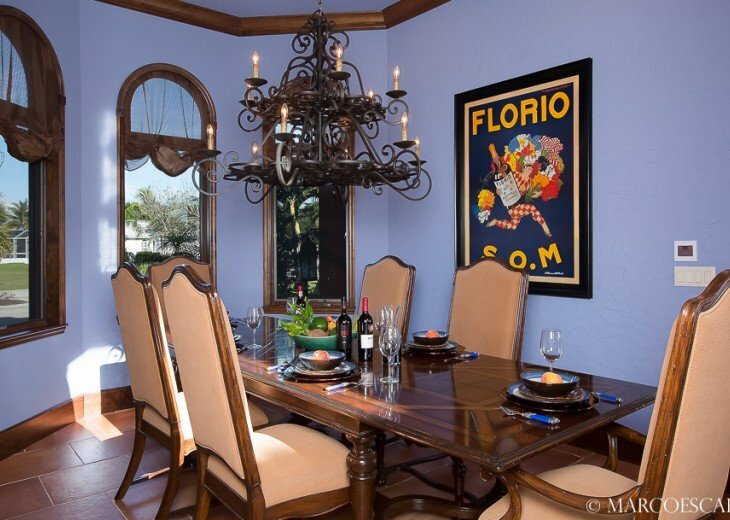 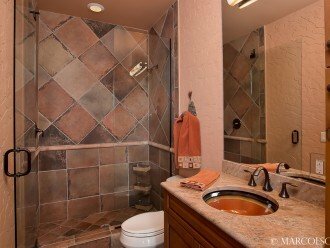 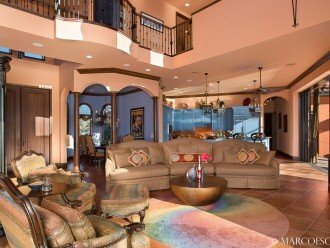 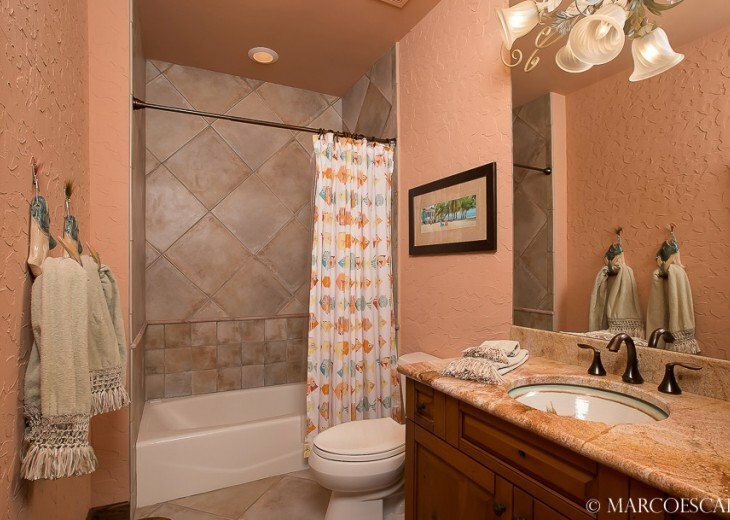 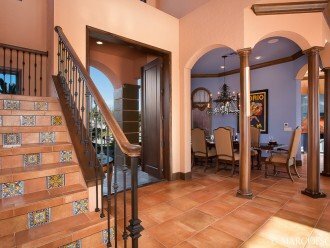 Olde Tuscan Villa Enjoys Due South Sun Exposure and is Walking Distance to Markets! 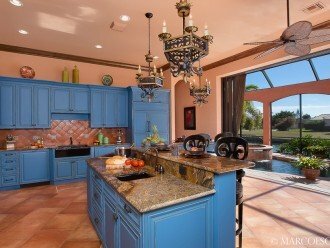 Large Arched Center Island makes Entertaining a Fabulous Event!